Models, molds, and tools can be produced quickly and easily using RAKU® TOOLboard materials. This blog offers a range of information on processing and machining and everything you need to know about milling, bonding, and repairing board materials. It also features application videos. Why board materials? These are the benefits. Board materials have particularly good dimensional stability, as they exhibit the same properties in all three axes and thus behave consistently under process influences. Board materials do not have a fiber structure like wood. Board materials can be easily bonded and are also quick and cost-effective to repair – for those odd times that something goes wrong. Board materials cut machine operating times, as they can be machined more quickly than wood or metal, for example. Board materials are available immediately – small and medium-sized models and molds can be manufactured quickly and easily. Board materials are available in various thicknesses (e.g. 200 mm). Complete focus on milling technology, as liquid systems are only used for bonding and repairs. Lighter than metal – working boards are relatively lightweight compared to metals. All RAMPF board materials are “made in Germany” and meet the highest quality standards. How do I process board material? The first step is to make a rough blank or model of the workpiece that is to be produced, sawing and bonding the board material and trying to get the contours as close as possible to the final geometry. The next step is to machine this blank based on the dimensions stipulated in drawings or CAD data to achieve the final geometry. The most popular production method for this process is milling on state-of-the-art machine tools. Milling is a machining process that involves cutting away or shaving off chips from a blank to produce the desired geometry of the workpiece. Our RAKU® TOOL milling parameters are available on request. 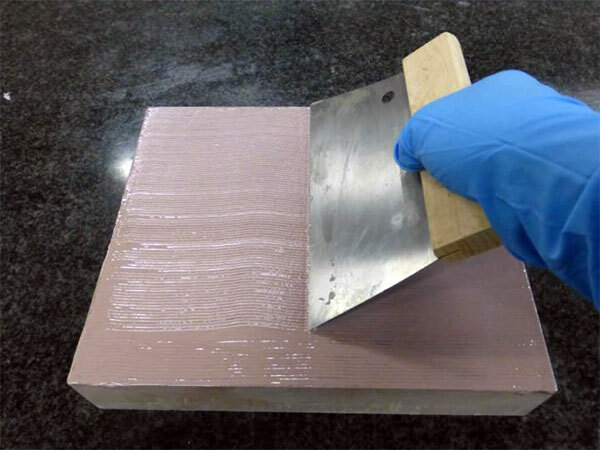 Bonding board material – a sticky situation? There’s nothing to it – it’s all quite simple! 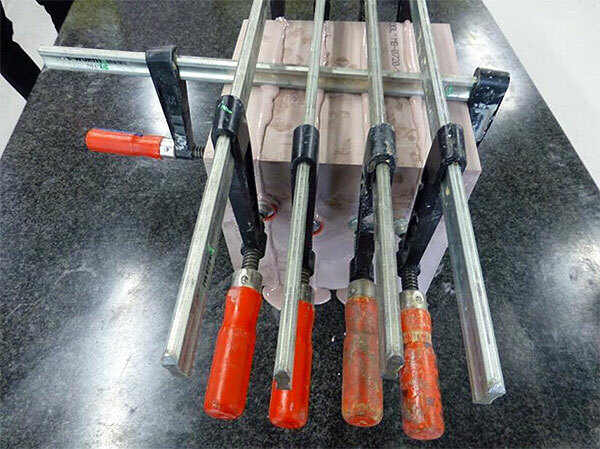 Here are a few useful pointers on bonding RAKU® TOOL board material – because, with the right preparation, the process is very quick and easy. 1. The surfaces to be bonded must be free from dust and grease. Where appropriate, surfaces must be slightly roughened and degreased. 2. To ensure the glue joint exhibits a specific layer thickness, you should use spatulas that are designed for the layer thickness in question. 3. The adhesive should be applied evenly on both sides and over the entire surface to be bonded to ensure better crosslinking and prevent air pockets. 4. When pressing the two surfaces together, please note that after initially applying pressure to squeeze out excess adhesive, you should only apply enough force to hold the two surfaces together. 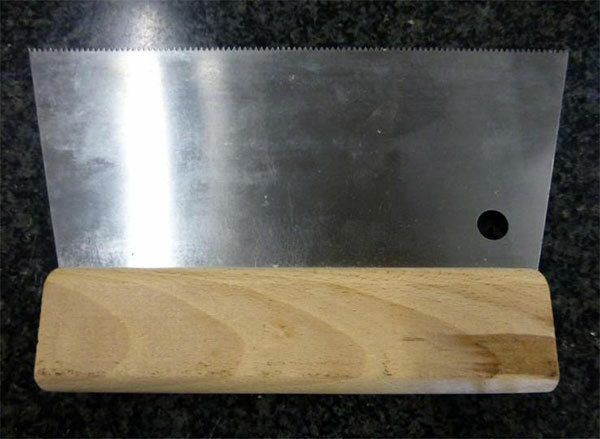 This reduces stress in the blank that could be induced during the subsequent milling process. 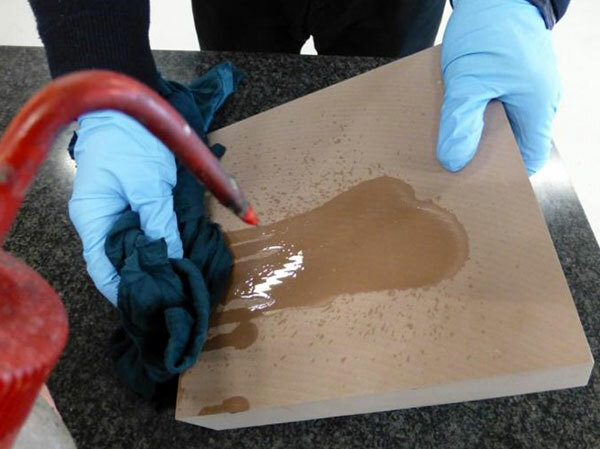 Liquid adhesives are used to achieve a thin and uniform glue joint. Thixotropic adhesives are used on rough cuts or vertical bonding arrangements so the adhesive doesn’t simply run out of the joint. Can board materials also be repaired? Of course. The areas to be repaired must be free of dust and grease. Additional degreasing may be necessary to ensure good adhesion of the repair paste.